Interesting animal. Never seen one of these before. ABSOLUTELY beautiful bear; just a gorgeous shot...like all the others I've missed lately!!!!!!! You capturing wild life just amazingly beautiful, ANGAD!!!! A joy to look at it!!!!!!!!! 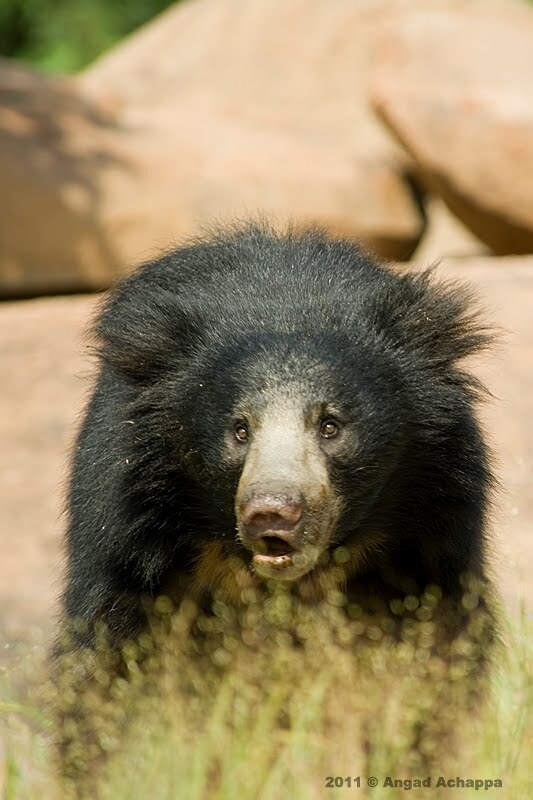 I was in Hampi this month, and I saw this bear early in the morning up close and personal. Unfortunately for me, I had a wide angle lens on my camera and did not get enough time to change the lens. Plus this was my first encounter with a wild bear so I was a bit scared too.